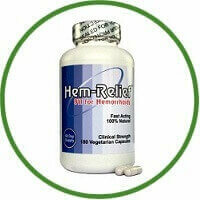 H-Releve is designed to work immediately upon contact of painful haemorrhoids. Each ingredient in this skin soothing cream was carefully chosen to provide the relief you need to get back to your normal life. In addition to temporarily relieving symptoms such as pain, irritation, burning, and itching, H-Releve contains soothing and moisturizing ingredients to help restore the skin. Butcher’s Broom (natural haemorrhoid treatment herb): Supports blood vessel health. Lavender Oil (skin soothing properties): Helps relieve painful symptoms and soothes the skin. Vitamin E (symptom relief): It helps relieve itching, burning, pain and irritation. H-Releve is the Revolutionary doctor-formulated cream that completely provides relief on-contact from the pain, soreness, and burning associated with haemorrhoids. Dr. Krajewski’s years of experience and finely-tuned expertise make H-Releve the most effective and well-rounded Haemorrhoid cream available. Developed by leading haemorrhoid expert and board certified surgeon, Eduardo Krajewski, MD, FACS, FASCRS, based on over a decade of experience treating haemorrhoids. 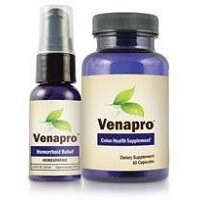 Carefully tested FDA approved formula combines the best of both western medicine and natural medicine by coupling the fast-acting painkiller 4. Lidocaine with a specialized blend of medicinal herbs such as Horse Chestnut Flower extract, Lavender oil, and Witch Hazel distillate. Proprietary blend of ingredients treats haemorrhoids while soothing, restoring, and moisturizing your skin.